Marty and Leah were two of the founders of the Ryman Program for Young Artists, a project of Ryman Arts, a nonprofit foundation whose purpose is to teach and mentor “traditional” drawing and painting skills to talented young artists in Southern California. In lieu of flowers, the family requests that donations be made in Marty’s name to Ryman Arts at www.rymanarts.org. Over the years I made it a point to read every one of Marty’s articles that he wrote in the Disney Vacation Club magazine. After reading his book Dream It! Do It!, I decided to send an email to him that I saw in the DVC magazine. As a public school music teacher many times my discussions would lead into how important music is to their animated movies. I would draw information from all resources available. The kids in class had a great time enjoying learning some of the secrets. In my short email to Marty, I thanked him for his articles and books. And expressed how important I felt he was with respect to be one of the last people to work with Walt Disney. That his knowledge and direct experiences were so valuable to share. I was shocked that I received an email response from him with in 15 minutes! I really felt honored and I’m so glad I had the small opportunity to talk w/ him through my email. Thanks Marty. Listened to him once in WDW during a DVC sponsored event. He was wonderful. He then sat down to sign his new book for hours. The line was so long but he was patient and signed for everyone in line. RIP Mr. Sklar… you have brought joy to countless small and not so small kids in your lifetime. The world has lost another legend. I played tennis with Marty for 6 or 7 years when he would visit La Quinta Hotel Golf & Tennis Resort. I knew him to be competitive yet gentle, inquisitive yet reserved and a gentleman who exhibited respect to every person with whom he came into contact. Until a few years ago I had no idea of his professional exploits and notoriety. It made perfect sense to me that I would have to discover this from a source other than him. I wish peace for his loved ones. The man that truly walked in Walt’s footsteps, Marty was a kind soul and will be missed dearly by all. Anytime and original true imagineer passes, a little bit of the pixie dust blows into the wind. I hope his creative energy remains around for all of us to keep dreaming the dream of the original visionary Walter Elias Disney! Never forget it began with a Mouse! 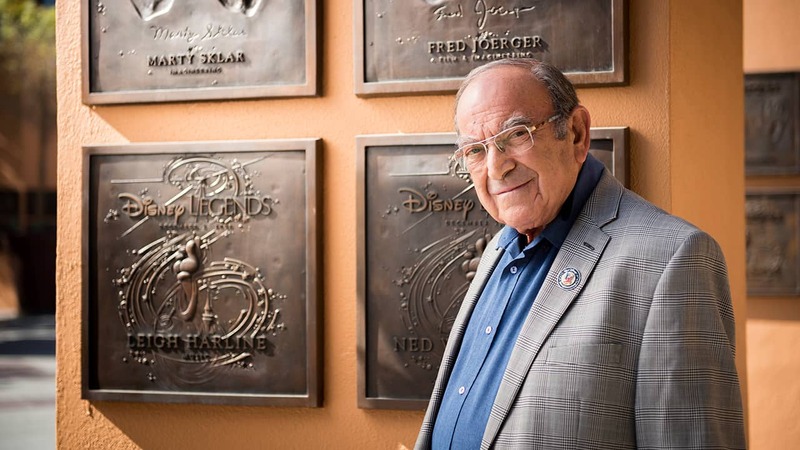 The Disney Company without Marty Sklar is unimaginable. How fortunate we ALL are that he and Walt Disney crossed paths. Their partnership has brought joy to millions of people all over the world who have experienced Disney parks and products. I hope it is a comfort to his family to know how many people are truly saddened by his loss, and will miss Marty tremendously. He was a TRUE Disney Legend, and deserved every award he received. Terrible news, so sorry to hear we lost another legend. Rest In Peace. So sorry to hear of Mr. Sklar’s passing. While those of us in the Disney community mourn the man who did so much for all of us through his work, his family lost a beloved Husband, Dad and Granddad. Our thoughts and prayers are with his family. Marty was one of the greatest people who made The Walt Disney Company into the company that reminds us all of who we all really are, good people who want everyone to live better lives and enjoy life. Thank you Marty for all you have created and inspired. My heart goes out to your family and loves ones. I was so sad to hear about this. 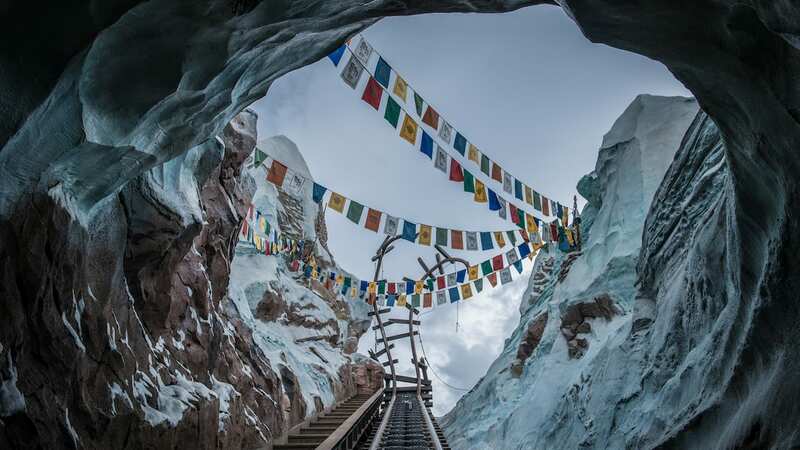 Marty’s legacy exists quite literally all around the world, in all the great parks he oversaw. We would not have Disney Parks as it exists today without him. I would love to see him get a statue at Epcot, perhaps in Future World, considering how important he was in establishing that park. Something similar to Roy’s statue at Magic Kingdom – low key but lovely, just like the man himself. Had the opportunity to meet Marty while volunteering at The Walt Disney Family Museum. An articulate speaker with many stories of Walt and Disneyland. He was a very kind and gentle man. He will be missed. RIP Marty. I am so glad that I got to meet him this year. I loved listening to anything he said about Walt and being an imagineer. I met Marty several years ago at the IAAPA Expo. When I asked if he would do a Skype call with my college class, he said he’d be happy to do so. Over the next few years he did several calls–an absolute hit with my students. I will never forget his generosity or his geniality. I was so flattered that he took the time to speak with us. When my friends wondered how I got him to help me out, I explained that it was simple: all I did was ask. Marty will always be remembered as a legend in the theme park industry, but to me he will always be much more than that–a kind, wise, humble gentleman who was an inspiration to me and my students. Marty was a powerhouse, and his mark will continue to influence people for generations and generations. He told a great story. I hope his family can find peace in the truth that countless people’s lives are better because of his life. His work, like that of Walt Disney, will remain a living legacy for his family and future generations to enjoy and cherish. From my family to the Sklar’s family, may you find hope in knowing that millions of lives have and will continue to be impacted by Marty’s creativity, imagination, and quest for excellence! He left an incredible mark on the entire themed entertainment world, and will be very missed. We love you, Marty. My sympathy and prayers to his family and friends. Rest in Peace, Marty. Such a loss to the world of Disney. Mr. Sklar embodied everything that was good about Disney and Walt’s dream and played such an instrumental part in making it all reality. My heart is broken but oh the Imagineering that will happen in Heaven as two great minds are joined again! Lifting up his family today. What a truly remarkable soul. His legend will continue to live on and his legacy will bring joy to families for many years to come. Rest easy Marty. Someone so special can never be forgotten! Thanks Marty! Very sad to hear. He was truly a Disney icon. Once again walking with Walt. I’m so sorry to hear this. He was such a talented and wonderful person. Our thoughts and prayers go out to his family.